After what has seemed a very long winter, the pinnacle of motorcycle sport reconvenes this weekend under the flood lights of the Losail circuit in Qatar. The off-season has given all the riders chance to reflect on their ups and downs of 2012 and given them time to think how they can come back even stronger in a season that will be, quite possibly, the hardest fought championship in many a year. As one champion in Casey Stoner departs to V8 Supercars in his native Australia, another champion looks to reaffirm his status amongst his peers in 2013. The much heralded return of Valentino Rossi to Yamaha MotoGP alongside double, and reigning, world champion Jorge Lorenzo is seen by many of his fans as the re-birth of the legend after two unsuccessful years at Ducati Corse. 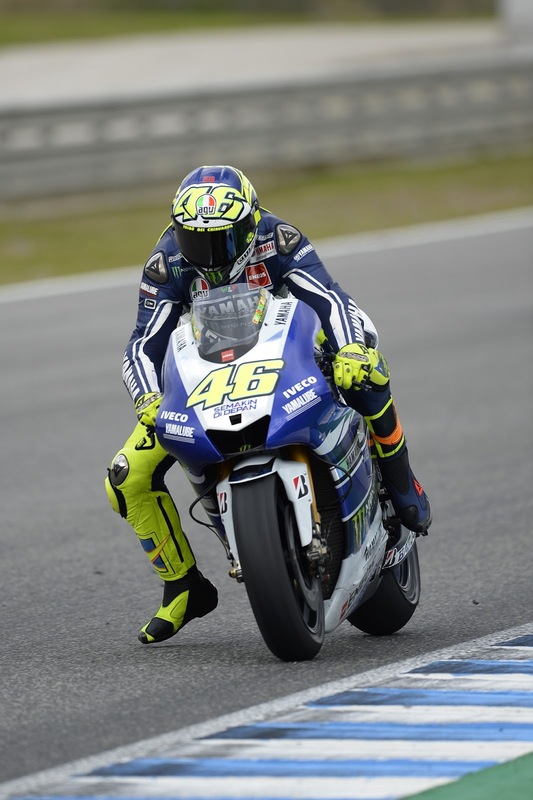 His return to Yamaha sees the nine time champion on an equal machinery footing with the main protagonists for 2013 and he will take every opportunity to silence the critics that say he’s past it or that the bar is raised too high for the 34 year old Italian. Lorenzo however is on the crest of a wave after his success last season, the paragon of consistency saw the Mallorcan on the podium in every race he finished and put a masterclass of a championship together which should be passed on to any aspiring young rider for years to come. Having Rossi back in the garage as the number two rider in the team will only serve to spur him on even more and after his run of last year that’s an ominous sign for his rivals. 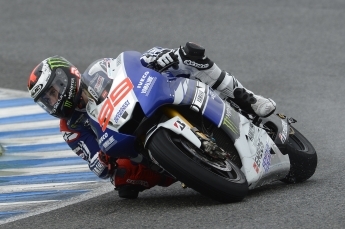 The Yamaha remains the best all-round package in MotoGP, closer than ever before at the power tracks that favour the Honda and still the bike to be on at tighter tracks like Jerez and Laguna Seca, all meaning that it will take a brave person to bet against Lorenzo securing a third world title come November. season, he must continue his blistering form of the second half of last season that saw him take seven wins overall to Lorenzo’s six but sadly lacked the consistency of the Yamaha rider by finishing fourth once and having two DNFs in the debacle at Misano and his slip at Phillip Island. Pedrosa and HRC have taken heart from those displays and have put faith in each other for another season to lead the charge against the might of the Yamahas. 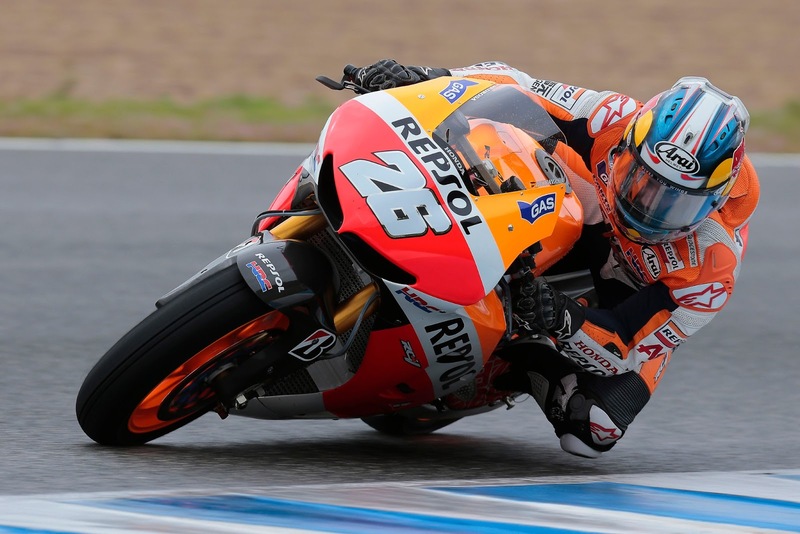 Pedrosa’s team mate for 2013 is causing almost as much interest as Rossi’s return to Yamaha; the third of the Spanish Holy Trinity reigning Moto2 Champion Marc Marquez has marked his arrival in the premier class with a blistering display during testing in Sepang and Austin and made it clear he’s not in MotoGP to make up the numbers. 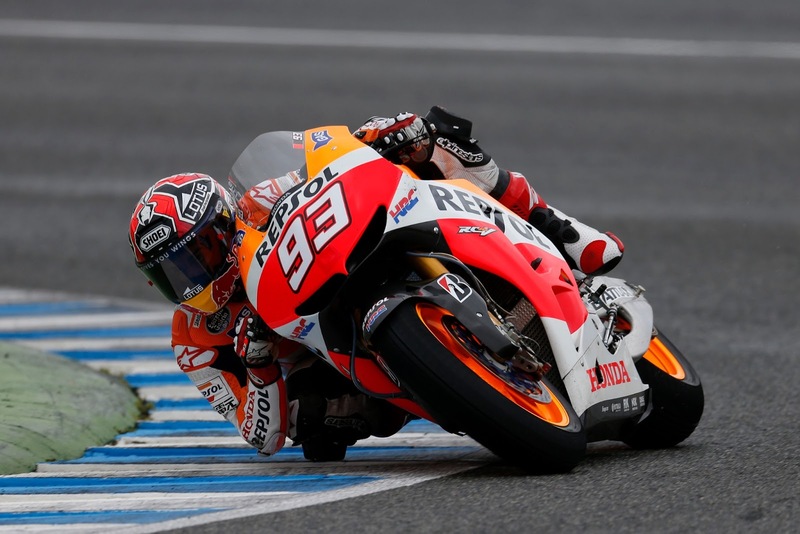 Just how he gets on will remain to be seen, will he have the best maiden season in living memory or will he go the way of everyone else who enters MotoGP by showing flashes of raw speed in between trips to the gravel, and in some cases, a trip to the local hospital? It’s odd-on that Marquez will win a race this season, even the most wisened of observers concede he will do at least that, but the championship? That’s a completely different ask. The last of the factory Honda attacks comes from German Stefan Bradl, once again lining up for LCR Honda in his second season of MotoGP. Backing up his Rookie of the Year title last year Bradl will look to be ahead of the Satellite teams and the Factory Ducatis at every round and mix it with the front of the field. It could be an effort beyond the young former Moto2 champion to secure his first premier class win, but a cold and wet race somewhere may give Bradl the opportunity break his duck but podiums are a certainty this year. As for the last remaining Factory team of Ducati Corse, Nicky Hayden retains his place on the Bologna Bullet keen to add to his multiple top five finishes and prove that the Ducati GP13 is a step above the GP11 and GP12 that tarnished the reputation of one of the greatest riders of the modern era. His team-mate for the coming season is another Italian, Andrea Dovizioso. Stepping in to the heavy boots left by his countryman Dovi has accepted the challenge with relish; after unremarkable appearances at the two Sepang tests Dovi shone at the recent Jerez test where he ended the driest session of Day Two with a time faster than Hayden’s third place in Qualifying last year and 2.5s faster than that of Rossi in the same 2012 session. Light at the end of a long dark tunnel for Ducati? Let’s hope so. The second Ducati team sees a returning from injury Ben Spies line up with second class rookie Andrea Iannone. The Ducati Junior squad of Pramac Racing will offer full factory support to to the American and the Italian as they try to arrest Ducatis slide in to MotoGP obscurity. Spies should be fully fit for the start of the season after his dreadful 2012 campaign as he tries to rebuild his confidence so dented by a season of downs and downs culminating in a crash at Sepang that ruled him out for the rest of the season. Iannone is embarking on his first season in MotoGP with out the pressure of a front line ride, allowing him to learn the characteristics of a GP machine and return consistent top ten results. The Satellite teams this year consist of experience, raw speed and emerging talent. Alvaro Bautista will run once again for the Honda Gresini team but in the bright colours of new sponsor GO&FUN and will be looking to add to his two podiums and solitary pole position but faces a huge uphill battle in his quest, such is the difference between his bike and the factory bikes. 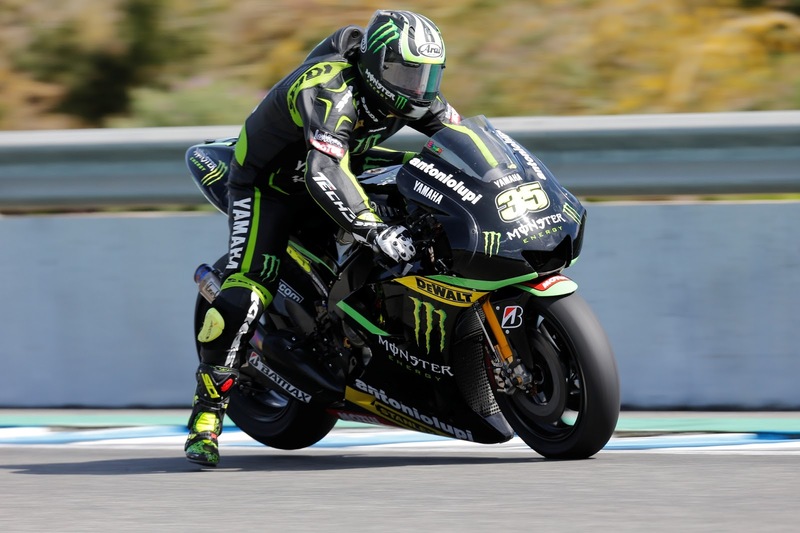 The Yamaha satellite squad of Monster Tech3 have added young Brit Bradley Smith to partner Cal Crutchlow in Herve Poncherals French-based team. Smith makes the step up to MotoGP from the Tech3 Moto2 team after a seemingly lack-lustre season aboard the teams in-house built Mistral 610. What the more casual observer doesn’t see is that the Mistral is a league behind the likes of Kalex and Suters standards and Smith had to rider harder than most to gain respectable results for Guy Coulons project. Smith will find his first year difficult at times but his mature and methodical approach will serve him well as he learns the power and finds the limit of a MotoGP machine, but perhaps unlike Iannone, the Brit will need results to retain his seat for 2014. Finishing the final day of the Jerez test at the top of the timesheets has sent Cal Crutchlow off to Qatar in a bouyant mood ahead of his third season in MotoGP. The big target for the Isle of Man resident for 2013 is to secure his maiden victory to back up his two podium finishes so far; Crutchlow has the aggression and MotoGP racecraft to take full advantage of any mistakes that the factory riders ahead of him may make and has top five potential at every round. 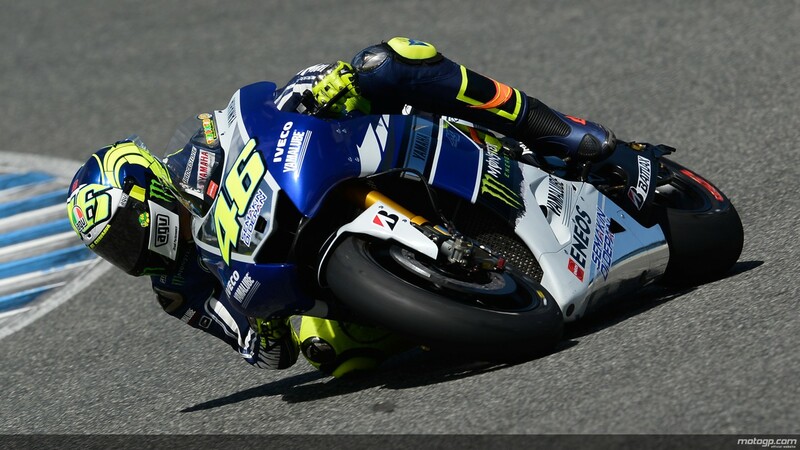 It’s a big year for Crutchlow if he’s to secure a full factory ride in 2014 that he so desires. CRT are back for a second year before control ECU and customer bikes from Honda and customer engines from Yamaha are introduced. Aspar, the top CRT of 2012 retains its line up of Randy de Puniet and Aleix Espargaro and will once again be powered by the V4 Aprilia engine similar to that of its WSB model. This season however, Aspar will be challenged heavily by the Kawasaki powered Blusens Avintia team. They have signed two riders with a wealth of experince in former Pramac Ducati pilot Hector Barbera and the very last 250cc World Champion, Hiroshi Aoyama, returning to the MotoGP paddock after a disappointing foray in to World Superbikes with Ten Kate Honda, and are looking to make a big impact on the second tier of the series with an eye on top ten finishes on a regular basis. NGM Mobile Forward Racing return with the evergreen and incredibly patient Colin Edwards, using his skills and experience to develop the popular Kawasaki power plant and push the team towards the sharp end of the CRT runners. Partnering Edwards this year will be former Italtrans Moto2 rider Claudio Corti; after a difficult 2012 that saw Corti part company with the Italtrans team after Aragon the Italian joins the MotoGP CRT ranks to help bolster the teams fortunes. Former Ducati rider Karel Abraham switches from the prototypes to CRT with his AB Cardion team this season with Aprilia power to push him towards the top ten, the Rookie of the Year runner up from 2011 is looking to rebuild his confidence after a difficult 2012. After campaigning the under-powered in-house engine, Came IodaRacing Project swap to BMW power plant with a Suter chassis for riders Danilo Petrucci and series debutant Lukas Pesek, although it will take a minor miracle for the team to even break in to the top twelve. Last but not least, PBM return with two quite different machines for riders Yonny Hernandez and former BSB rider and Supersport Champion Michael Laverty. Hernandez bike is based on the same Aprilia Racing Technologies bike James Ellison rode last year with while Laverty will ride an all new in-house PBM built machine with an Aprilia engine but PBM chassis and electronics. It could be a very good season for the Cumbrian team if everything comes together and the glimpses of both bikes potential in testing is realised to the fullest extent. As for who will win the title by Valencia in November, that is the $64,000 question…it’s difficult to see past Lorenzo and Pedrosa, their absolute pace and metronomic rhythm in race trim sets them at the highest level. Rossi will pick up podiums and possibly wins but will it be enough to challenge the two Spaniards remains to be seen, in the same sense, Marquez will provide exactly the same challenge but with potential trips to the gravel as he finds the limit of his Honda in race conditions. The racing will be closer this year with the return of the Italian to a factory bike he can ride and the welcome addition of the lastest fast Spaniard, a mouth-watering prospect for any race fan. Casey who…? You can view a picture guide to MotoGP here.